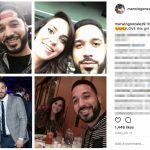 Marwin Gonzalez’s wife Noel Gonzalez lives the typical baseball wife life. They reside in Houston. She gave birth to their two kids Rose and Brooks. They’re charismatic kids since he shares plenty of pictures of them and clearly loves them a lot. The family also owns a French Bulldog named Benger. 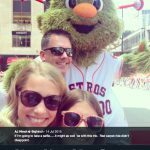 The Houston Chronicle actually made mention of the dog in a brief post from May, 2017. They didn’t mention the breed, however, and the name suggests a big dog to me. On Halloween in 2016, they dressed Brooks and Benger up as Ninja Turtles. 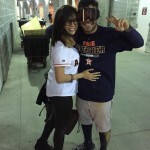 Rose costumed as a princess while Marwin also wore Ninja Turtle garb. Classic costuming. Noel really is a beautiful woman. 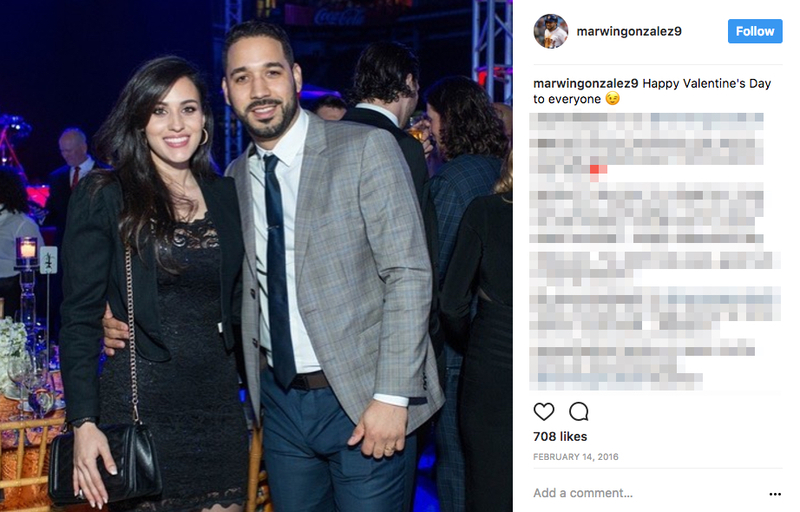 On Valentine’s Day, Marwin Gonzalez’s wife accompanied him to some kind of music show, from what I can tell. I don’t know who performed, but the scaffolding in the background suggests a music show. 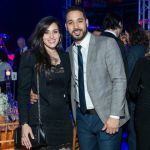 Anyway, she wore a stunning black lace dress with a black shoulder-padded jacket. Classy stuff! Of course, she attempts to attend as many home games as possible. With the two kids, it can be a drag. Noel actually gave birth to young Brooks some time around late September. They popped him in a basket full of baseballs in the middle of Minute Maid Park for a sweet photo. They dubbed him the “King of The House”. Geez, these kids don’t have to work for it any more! This couple and family in general look very happy to me. 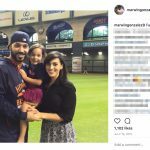 Back in 2015, Marwin thanked Noel for all she does behind the scenes in the family. He also pointed out he couldn’t find a picture of her with black hair. So she also apparently favors that color these days. Her natural color is dark brown, based on the photo. 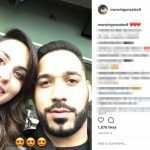 The family lives the dream and spends Christmas together with Marwin’s mom too.